August Discounts: 5% Off All Cold Jet Nozzles! Just Like New! 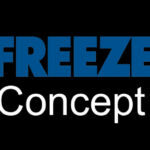 Nitrofreeze Blasts Overhead Conveyor in HVAC Facility. July Discounts: A Great Time To Replace Your Cold Jet Accessories.